Perfect for people who like long days full of facilitation. 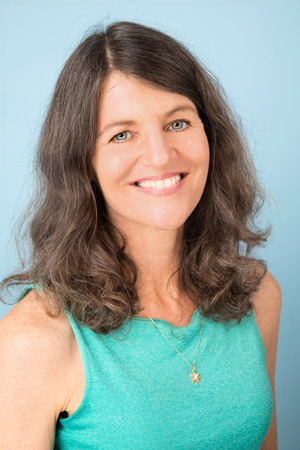 Dr. Laurie Moore's essential, enlightened, exclusive Gem Light Sessions will assist you with bringing success and fulfillment to your business, relationship, and life. Dr. Laurie Moore continues to donate abundantly to media projects, mini sessions, the SPCA, and scholarshipped sessions/seminars every year. "Laurie, you are very generous and make this so fun. We did a shorter couples intensive for 5 days. We learned a lot about each other in enjoyable ways and felt very close. You helped to bring out each of our individual talents to strengthen the relationship as a whole. You helped us to separate the individual core issues from the conflict so we could each heal. You told me I would become a singer as I tapped further into my potential. After the intensive I was asked to be part of a well known singing group. Thank you!" "Laurie, This intensive has been LIFE ALTERING. This by far exceeds what I had hoped for. I opened up to star races. I fully changed the environment in my home. The chanting was a whole new experience. The clearings and healings were amazing. I heard the earth talk." "Laurie, I came in scared, addicted and feeling powerless. I found my self confidence, respect, power and became happy. I dropped the addiction for good. Twelve years later I can say I never went back to the self-defeating addiction." Modeled after the packages listed above yet custom made for your particular needs. I work with people who became famous over night. I also work with those people who worked with immense focus for many years before becoming famous. Being famous brings about many vulnerabilities, questions, and a variety of personal and private matters. This is not commonly known. I understand deeply that your journey with fame requires support and understanding. I offer counseling as well as custom made intensive one-on-one programs.Who I see and why is strictly personal and confidential (unless people voluntarily offer a gratitude testimonial. You will not be solicited for that or anything else. TO DISCUSS YOUR NEEDS, DESIRES, AND GOALS AS WELL AS TO ANSWER YOUR QUESTIONS ABOUT THESE ESSENTIAL, ENLIGHTENED, EXCLUSIVE GEM LIGHT PROGRAMS PLEASE CALL 831 477 7007 OR EMAIL Laurie@DrLaurieMoore.com. Solve ongoing challenges with new perspective. Learn about underlying opportunities and causes. This will lead to success and fulfillment based in peace and love. Find Success and Fulfillment in Business, Love, and Life. Understand universal love from a multi-dimensional perspective. This will transform many unsolved life challenges. Understand aspects of yourself that are resonating and part of animal, angelic, fairy, master, ancient tribes, and beyond-earth tribe societies. This will help you be successful in a way that feels true to your individual calling. Learn more about your purpose, the opportunities waiting in your challenges, and what is trying to birth forth in your relationships and life. Erase self-defeating habits, create dream realities, and achieve goals. Receive accepting and non- judgmental witnessing and support. Discover your own answers with a skilled guide who helps you to awaken and grow. Sit in Satsang to open the heart, awaken. Learn to communicate with all life. Receive a reading: reflections from the angelic and master realm of all one. Connect with those who have passed over. Jessie the feline assists during some of the readings.